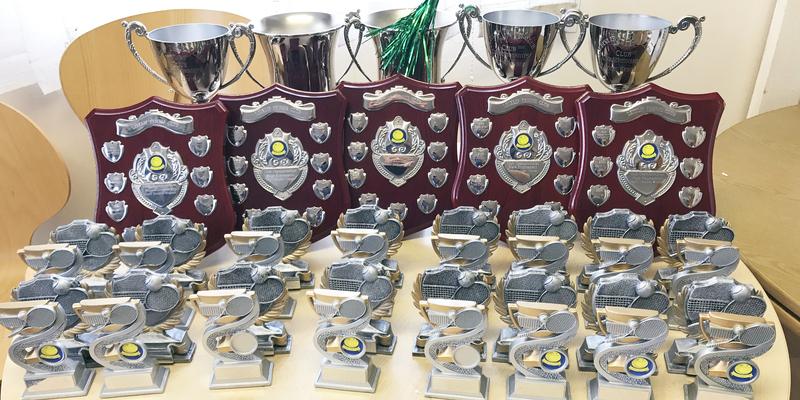 The 2017 Senior Leixlip Tennis Club Championships took place throughout the month of September culminating in a Day of Finals that took place on 23 September. Once again, there was a trophy competition and a plate competition for each event, with everyone participating in the trophy competitions and the defeated players being entered into the plate. The Day of Finals was a great spectacle and we had two show courts set up with seating for spectators to enjoy all of the fabulous tennis being played over the course of the day. This was followed up by the presentation of prizes, which included the perpetual trophies and plates and individual plaques for all of our finalists. A huge well done to everyone who took part in this year’s championships and to all of our finalists for making this event the highlight of our year.